Out of the smoldering ruins of the war in heaven, the Archangels Raphael and Michael cannot believe the agreement made between God and his Morning Star, Lucifer. Unwilling to either destroy the fallen angel or leave him with a free hand upon the world, God sets in motion a struggle that will span the millennia from creation to present day. Two Sentinels are invested with the ability to bend the laws of creation to their will and each represents the primal forces of Order and Chaos. It's been slightly over a year since Kellan Thorne first accepted the Sentinel's mantel, and its power was renewed in him. He thought destroying an Arch Demon and banishing his Chaotic opposite would have brought him more respite than it did. Now Creation itself is under threat, by a Cabal of Angels and Demons who have found a way to shatter the foundational pillars of Time itself. This dire warning is brought to the young Sentinel by an unlikely messenger, who risks all to enlist the aid of God's unchecked hand on the world. 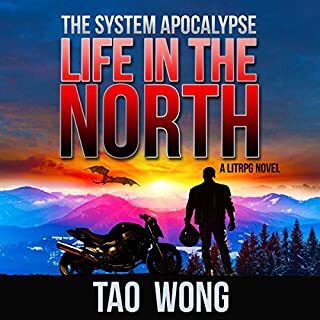 Kellan must decide if he will stay true to his dead master's teachings and oppose all unnatural beings, or risk everything by trusting that they might rise above their natures in defense of a common threat. 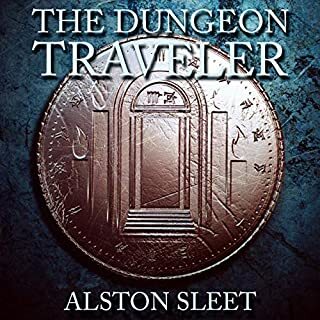 This sets off a whirlwind effort that crosses both centuries and miles, as Kellan, Shannon, Meghan, and new allies try desperately to stay one step ahead of the Cabal. Their efforts will take them back to medieval Scotland and through modern day Egypt, Ethiopia, and Vatican City. Along the way, Kellan will face new threats and form new alliances as his motley crew does its best to prevent the Cabal from destroying all our yesterdays. Action packed and filled with comedy. The characters are easy to fall in love with (even the ones you wouldn't think you'd fall for). The story is great, and is composed in such a way as to keep you listening. The only complaint I have with the whole series, is the constant Apple(TM) references. I have to wonder if the author has been paid by Apple(TM) to keep mentioning them every couple of paragraphs/pages. Unchecked Hand of God Goes Wild! Kellan Thorne has been the Sentinel for a year now, learning the ways of the role he took. However, visited by an ancient vampire, Thorne finds himself thrust into yet another universe threatening adventure. A Cabal of Angels and Demons have come together to destroy the foundation of time thus destroying creation. Thorne must first rescue Shannon who has stayed far too long outside her time period. Aided by Meghan and the being known as Seramai, and many others Thorne travels to defeat the Cabal and save creation. He finds some unlikely supporters in his quest. Kellan’s interactions with Satan, the vampire and vampire’s father are delightfully hilarious! The conversations Thorne has with himself are engaging, light and fun – almost like listening to “a squirrel on meth” as stated in his book. 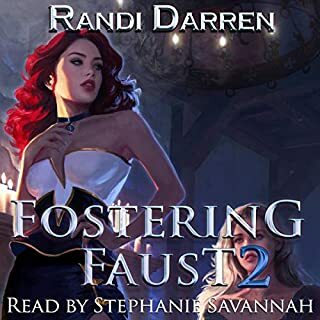 The characters are well-developed; Kellan, in particular, is delightful given his “gift of gab.” The book is fun, a quick listen and hooks the listener in early. I love this series! Robert Ross has created a series that has adventure, fun, mischief, and well, one just can’t shut it off until the last word is spoken! Well developed, the plot moves smoothly. 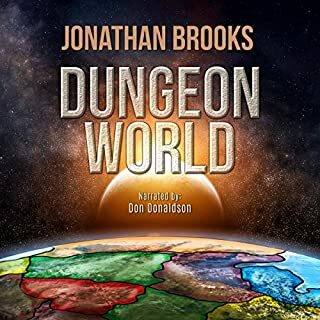 Descriptive and vivid imagery adds to the audiobook. I think because it touches on so much – ancient world to the present day – that it is fascinatingly interesting and fun. I loved how Ross brought in Jarvis (an AI modeled after the AI in Ironman). The interaction between Jarvis and Kellan is hilarious! The narrator, Nick Podehl is excellent! He is Kellan! He has his “squirrel on meth” conversations down pat; his voice is smooth, calm and draws in the listener completely. Oh my! I loved it! Can’t wait for book 3! Another great book. Really enjoyed . Am looking forward to listening to the next installment. Unabashedly continuing my title references as I do this. So the second book in the series thus far has showed me a couple of things. 1. )There is a difference in being a main character because you are unstoppably powerful and godlike and just so awesome OMG, and being a powerful main character who is nontheless still usually out of his league and gets by because you know how to leverage friendships with people as powerful if not moreso than yourself. One is fare more interesting than the other and it is continually evident Mr. Ross knows which one that is. 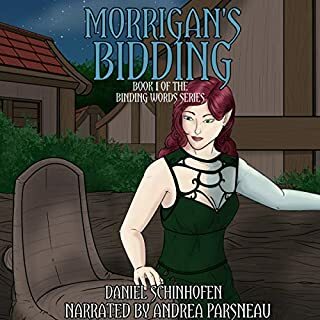 2.The most unbelievable thing in this whole series is likely how involved people at DragonCon are with supposedly very indie characters such as what happens in the beginning of this book, that or I really live in the wrong area and am thoroughly envious. 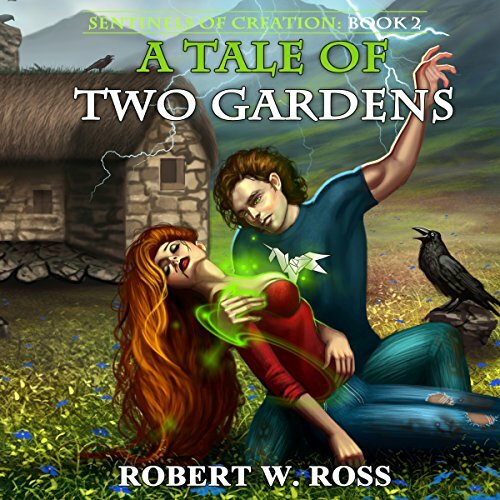 Two for two thus far with this series as Mr. Ross( with Nick Podehl and his conversational crooning) takes us on another adventure and in doing so shows us that a year in Sentinal time is still very much little league to the Supernatural world at large. The book has all the key elements of a great story and is a great read. If you are looking for a great sci-fi, fantasy series then look no further. 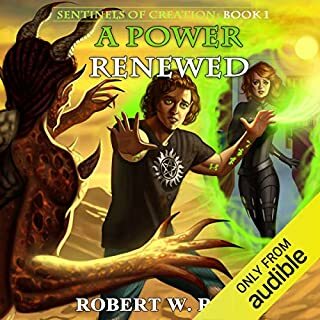 Robert Ross is a brilliant author and paired with the amazing talents of Nick Podehl narration, this book is a joy to listen to. I was sucked into this fantasy world feeling like the characters were long time friends. I enjoyed the plot twists and found the broad range of personalities refreshing. I can not wait for book 3. I am a fan for life. Thank you. This book is just as entertaining as the first. I enjoyed this book. tho I did stopped after just starting it, think the pace was better in the first book. then it got me hooked. well worth a read. I'm shocked more people don't hype this series. just downloaded the 3nd book as writing this.